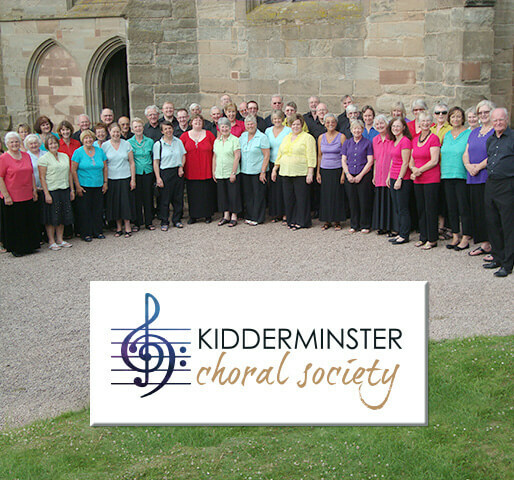 Kidderminster Choral Society is a mixed, non-auditioned choir, rehearsing and performing mainly in Kidderminster, Worcestershire, in the West Midlands; we sing the great works of the choral repertoire, from Purcell to Tippett, from Bach to Bernstein. 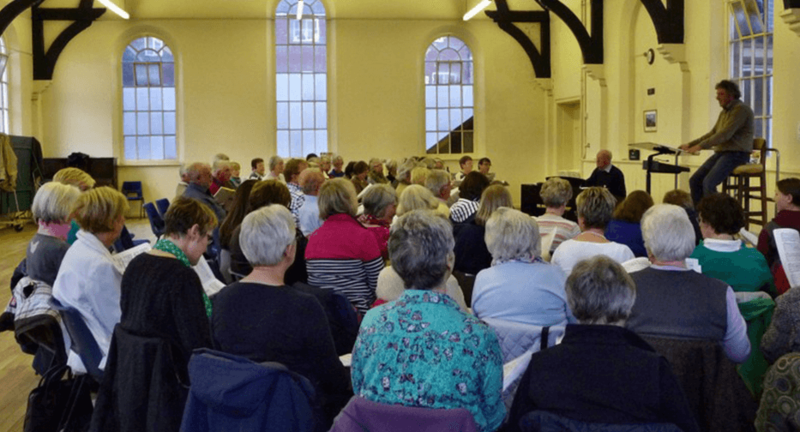 We have about 150 members, and our main performance venue is the 160 year old Town Hall of Kidderminster, with its magnificent William Hill organ. We do perform elsewhere – in the Summer you may find us at Harvington Hall, St Anne’s Church or Dudmaston Hall, or performing Gilbert and Sullivan in Belbroughton Church or Wribbenhall Church! Every four years or so, we take flight to Germany, where we sing with the Theodor Storms Chor, the choral society in our twin town of Husum. An important part of our work is with young people, and we have established two choirs, one for young people aged from ten to eighteen (Wyre Forest Young Voices) and the other for children aged from five to nine (Primary Chords). 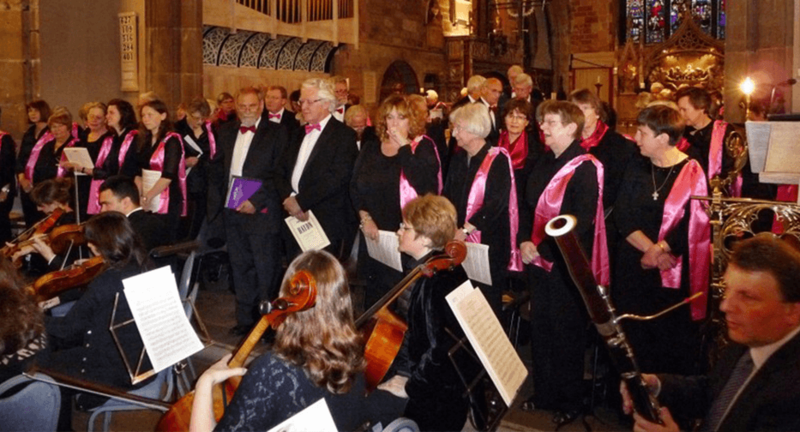 The Society is affiliated to Making Music (the National Federation of Music Societies), and is a member of the Kidderminster-Husum Twinning Association. For general enquiries please get in touch here. Mike, a native of Yorkshire, was a Junior Exhibitioner at the Royal Northern College of Music, going on to study at the Royal College of Music in London and then, after graduating, to teacher training at Bretton Hall. 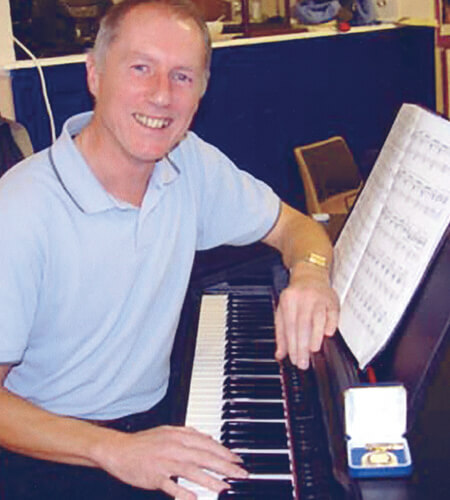 Having taught for many years, he is now a freelance accompanist for choirs, instrumentalists, singers, theatre and dance, as well as organist for church services in Worcester and the West Midlands. 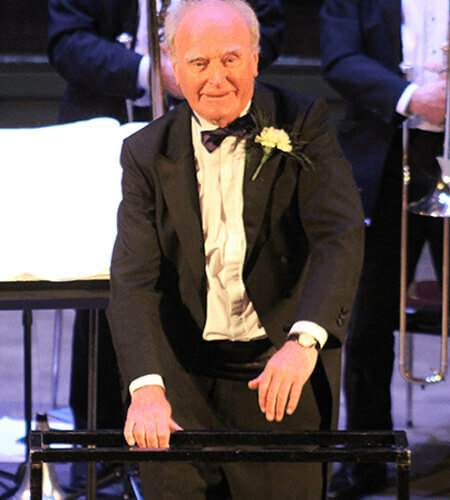 In 2015 Mike retired from the post of the rehearsal pianist and accompanist for the Wyre Forest Young Voices, his place being taken by Charlotte Jones (see below). For more information on joining the Choral Society, please fill out our form below and our Membership Secretary, Martin Lewis, will be in touch.